Find the right program for you from our convenient on-demand services which allow you to stream videos so you can watch them where you want and when you want to our books. Our weight loss programs are designed to help you lose weight and then control your weight. 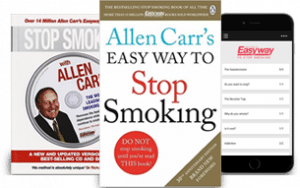 Lose weight and feel slim with Allen Carr’s Easyway. Our on-demand online video program enables you to use the method when you want, where you want.